New York: Boni & Liveright, 1919. First edition of this classic work regarding the 1917 Revolution. Octavo, original green cloth, cartographic endpapers, illustrated. In very good condition with light rubbing to the extremities, bookplate. An American journalist and revolutionary writer, John Reed became a close friend of Lenin and was an eyewitness to the 1917 revolution in Russia. 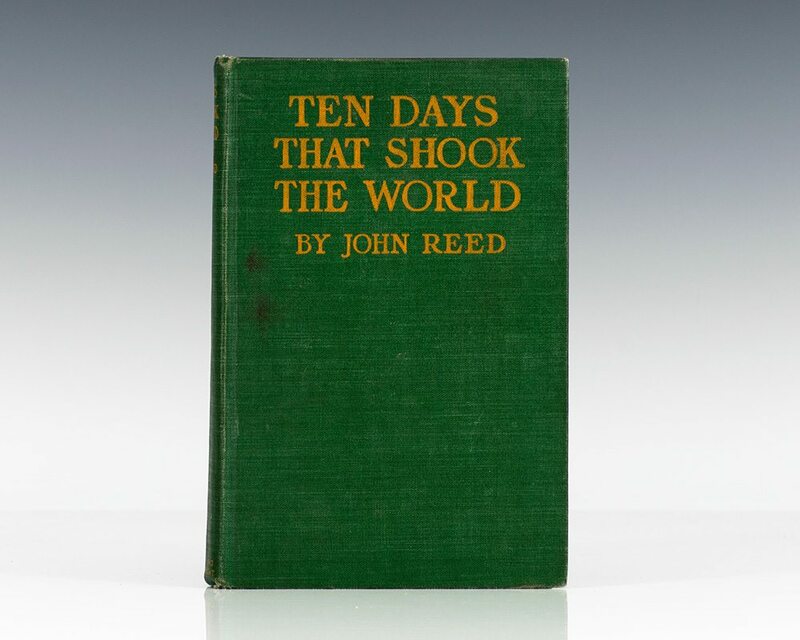 Ten Days That Shook the World is Reed's extraordinary record of that event. Writing in the first flush of revolutionary enthusiasm, he gives a gripping account of the events in Petrograd in November 1917, when Lenin and the Bolsheviks finally seized power. Containing verbatim reports both of speeches by leaders and of the chance comments of bystanders, and set against an idealized backdrop of soldiers, sailors, peasants, and the proletariat uniting to throw off oppression, Reed's account is the product of passionate involvement and remains an unsurpassed classic of reporting.